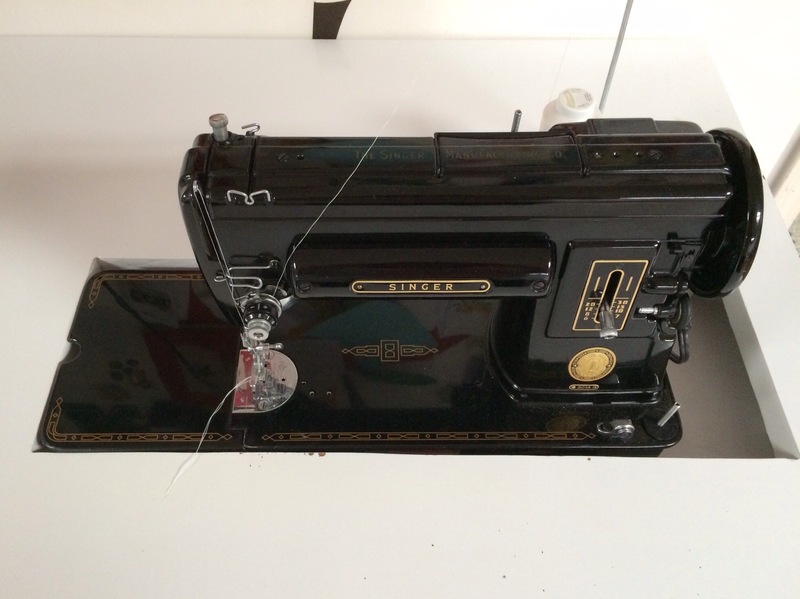 I posted this picture of my vintage Singer 301 in my sewing desk and I had questions about the desk itself. So this post is to show it a bit more clearly. Here is a picture of the whole thing. I purchased this steel case desk from Good Will a few years ago for $25. At the time, I didn’t yet have my long arm but I did a lot of machine quilting. I wanted a table with more room in front of the machine to support the weight of a large quilt. You can read the details of hubby’s modification of the desk here. And a modification to that here. 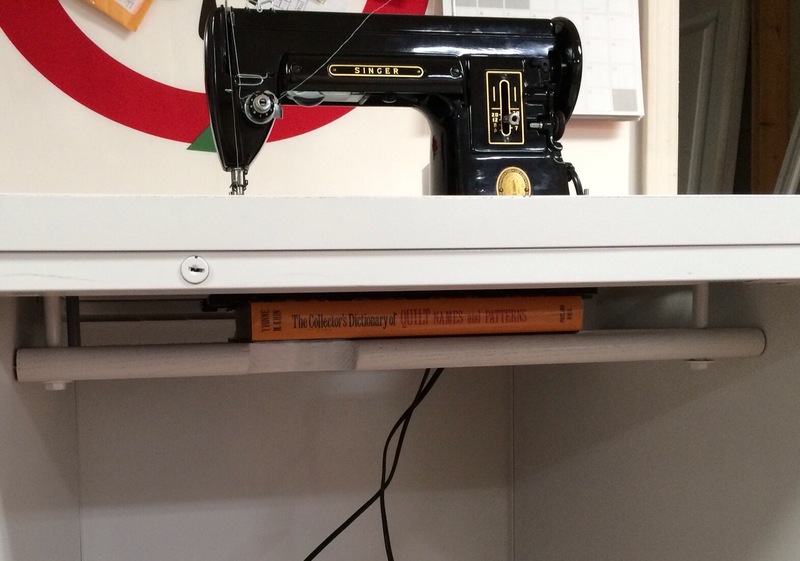 The opening that he cut in the desk was sized to fit my Bernina 1030 with the extension table on it. But it works so that I can use this for most of my machines. I sometimes place something under the machine to bring it up to the correct height. Like this. When we redid the sewing room last year, the desk got a coat of spray paint. If you get a steel case like I did, beware that it is called steel case for a reason! Sparks flew when hubby cut the hole in the top with his skill saw! Hope these pictures and the link help. 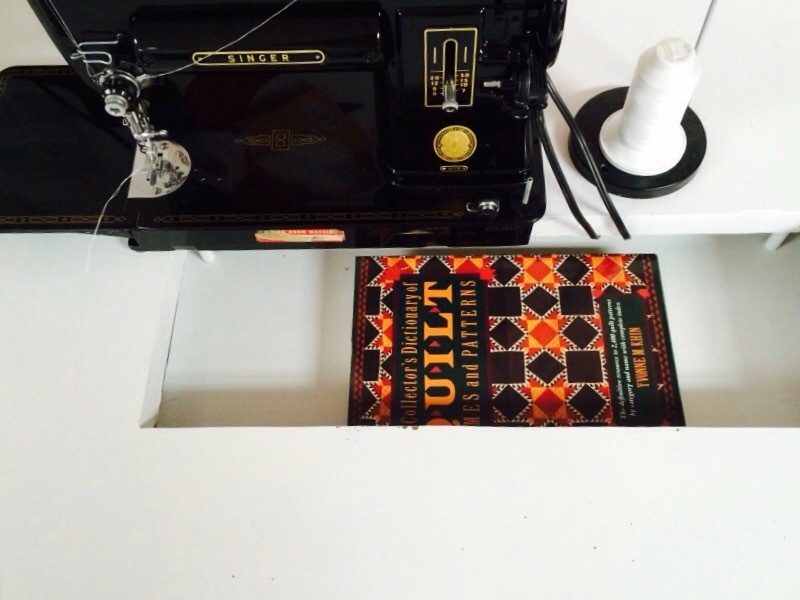 This entry was posted in Sewing Machines, Sewing Room Pics. Bookmark the permalink. Great desk. I do love having my machine recessed. My husband modified an office table to recess my machine. It does make a difference – less back/arm aches! 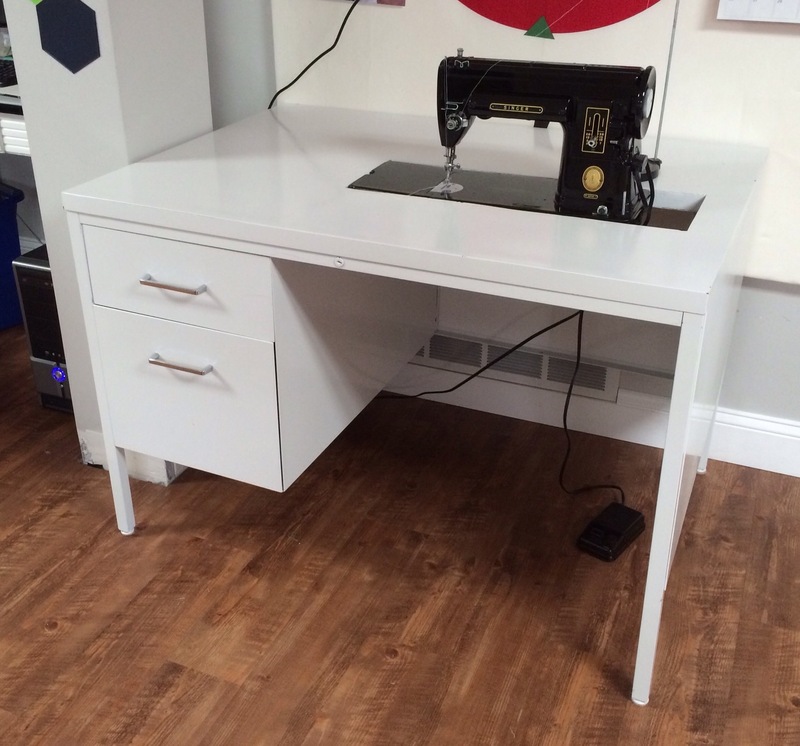 I recently added a General Fireproofing tanker table to my sewing room. It has the rubber top and I will not be cutting into it but it weighs a ton and it’s not very big! I can barely budge it. I do like your white paint. It looks so clean and streamlined. I sew on two 301’s. I’m keeping one with a 1/4″ foot on it and the other for straight stitch. Love them and I may add a third just for the walking foot. The desk conversion is sooooo awesome. I sew at the dining room table which is a little high but not too bad.